The 2019 Super Bowl is almost upon us, with the New England Patriots taking on the Los Angeles Rams this weekend in Atlanta, in what is sure to be one of the most watched sporting events of 2019. The Super Bowl takes place this Sunday, the 3rd of February. The game will kick off at 11:30 pm GMT. Great news for UK fans of the sport, two broadcasters are covering the 2019 Super Bowl. Sky Sports will continue their live coverage as they have throughout the season, with the pre-match build-up beginning at 10:00 pm on Sky Sports Main Event and Sky Sports USA. Those without Sky Sports will be pleased to know that the game will also be live on terrestrial television, with BBC One covering the action. Their build-up begins at 10:45 pm, so there is no excuse to miss the game this year. The New England Patriots and LA Rams clash in what should be a fantastic Super Bowl on Sunday night. Both teams have strong offensive players, so expect to see plenty of attacking play and plenty of points on the board here. We have a real clash between the two quarterbacks, with the experienced Tom Brady taking on Jared Goff, one of many young quarterbacks in the league who think they can dethrone Brady from the top. 1. Can Jared Goff live up to the hype, and deal with the pressure of playing against Tom Brady in his first ever Super Bowl appearance? 2. Can the Patriots defence stop Todd Gurley and CJ Anderson running the ball for LA? I think the answers to the above question are yes to the first and no to the second, which will lead to a win for the LA Rams. While the Patriots are coming towards the end of their time with Brady, the Rams are just beginning their journey and with many young stars on their roster, a win on Sunday night could be the start of something very special for them. Many people like to have an interest in the Super Bowl and a great way to do that is to place a first touchdown scorer bet. 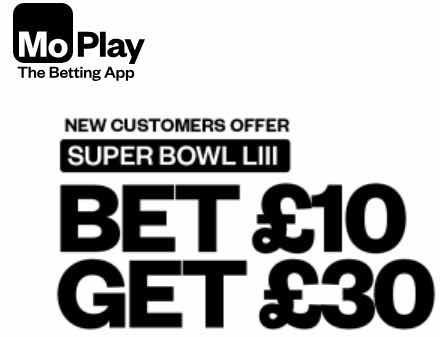 If this is what you are doing then be sure to take advantage of the double delight/hat trick heaven promotion from Totesport, which is available for the Super Bowl. Simply place a first touchdown scorer bet with them, and if your player scores first you will be paid out as normal. However, this offer becomes fantastic if your player scores again, because if he goes onto score a second touchdown, you will be paid out at double the odds. If he scores a third, you will get treble the odds and a big payout on the big game this Sunday! This offer is valid on pre-match singles only, and any additional winnings will be paid out in real cash.